Whether your grad is heading to college or the workplace, here are eight tech graduation gifts that will help them get settled in their new surrounds, have fun and stay organized. 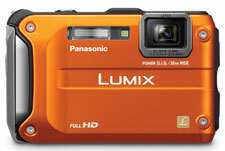 This great camera can take whatever action your grad can dish out. Its waterproof housing is capable of withstanding descents to 40 feet, drops from 6.6 feet, dust and freezing temperatures. Plus it has a 4.6x wide angle lens, GPS, a compass, altimeter and barometer. All this plus a superfast shot to shot time and good low-light capabilities, make this camera a winner. This attractive wireless speaker will turn your grad’s cell phone into a very capable boombox, and adds speakerphone capability too. The design, solid construction and surprisingly good sound quality make the Jambox a great gift. The latest update to the 13.3-inch Vaio S series weighs in under four pounds and has plenty of power, including a Core i5 processor, 4 GB of RAM and 512 MB graphics card from AMD. The Vaio S also has a USB 3.0 port and Intel's WiDi technology for wirelessly connecting to TVs and external monitors that are WiDi enabled (or connected to a WiDi base). 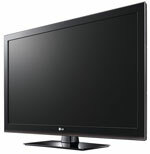 Just the right size for a small apartment or dorm room suite, the LG 32LK450 provides a great picture at a very affordable price. Hook up a Blu-Ray player and and your grad can watch movies in full resolution on its 1080p display. 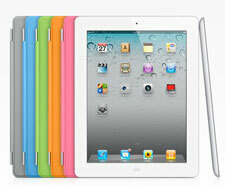 Even with all of the recent Android competition, the iPad 2 is still the best tablet on the market. It’s thin, light and has an enormous library of apps that will help your new grad everywhere from the living room to the kitchen to on the road. For the grad who likes to hit the trail, the Wahoo Fitness Run Pack and iMapMyFITNESS+ ($1.99 on Apple.com) app deliver performance data needed to get to the next level, like heart rate, duration, distance, pace, speed, and elevation. Once he’s finished his run or ride, he can upload it to MapMyFitness.com, where he can view his route and workout history. For $30 per year, he can sign up for training plans, print routes and track more data per workout. The Wahoo Fitness pack includes a heart rate monitor and wireless receiver for an iPhone. 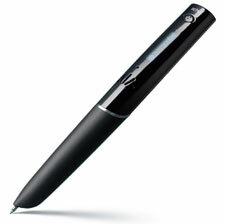 As your grad takes notes in class on special paper, the pen records the lecture (up to 400 hours). The notes and audio recording are linked so that tapping on a word or drawing brings up the corresponding audio. With Livescribe Connect software, she can email notes and audio recordings, upload them to Google Docs or Facebook and save them on her computer. Plus she can download apps. There’s everything from calculators to translators to games to trivia titles and more. Many are free and most of the paid apps are just a few dollars. To use an app, you select it and then draw any controls you might need. So you’d draw the calculator on paper and then tap in the numbers. Help your grad stay powered-up with the Idapt i4 charging station. 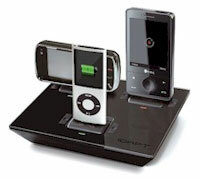 There are three charging points plus a USB port, which means up to four devices can be charged simultaneously. Choose a set of four custom tips from options including iPhone, mini USB, micro USB and Nintendo DSi. Our ideas for Father’s Day will be posted later this week. Thanks for your patience .